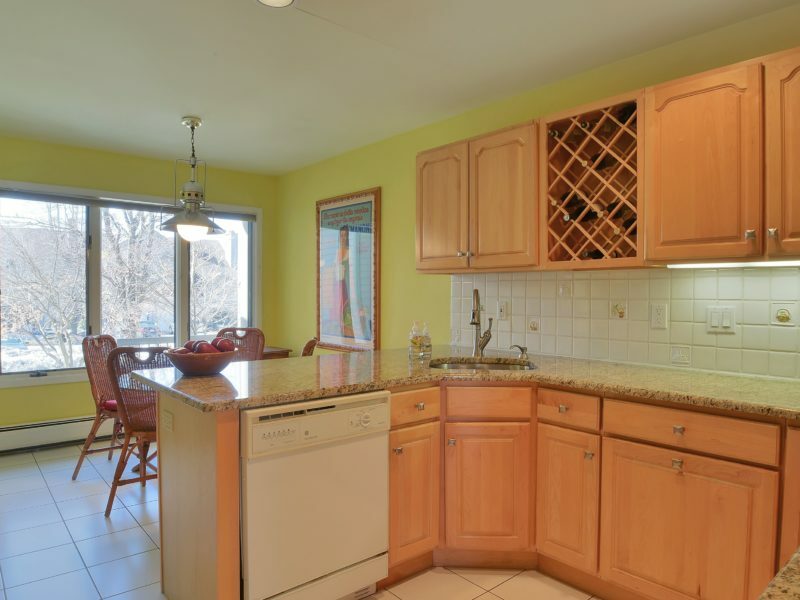 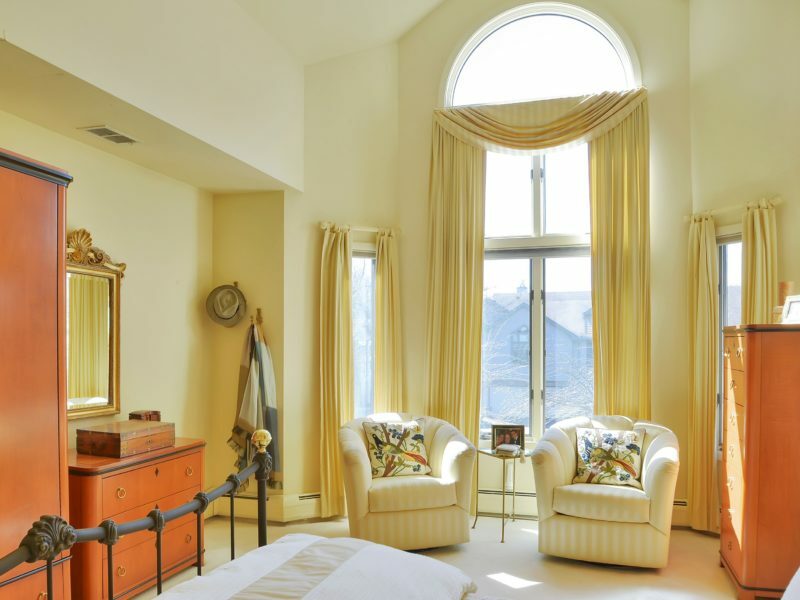 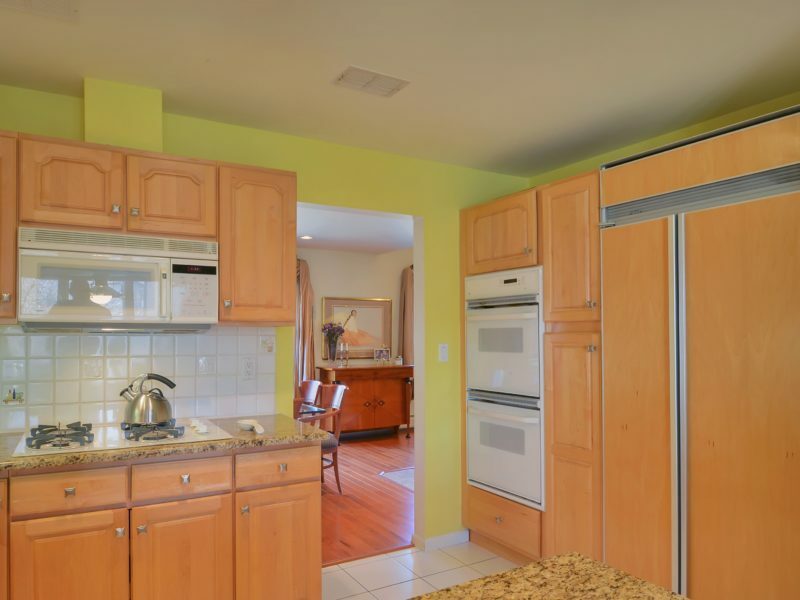 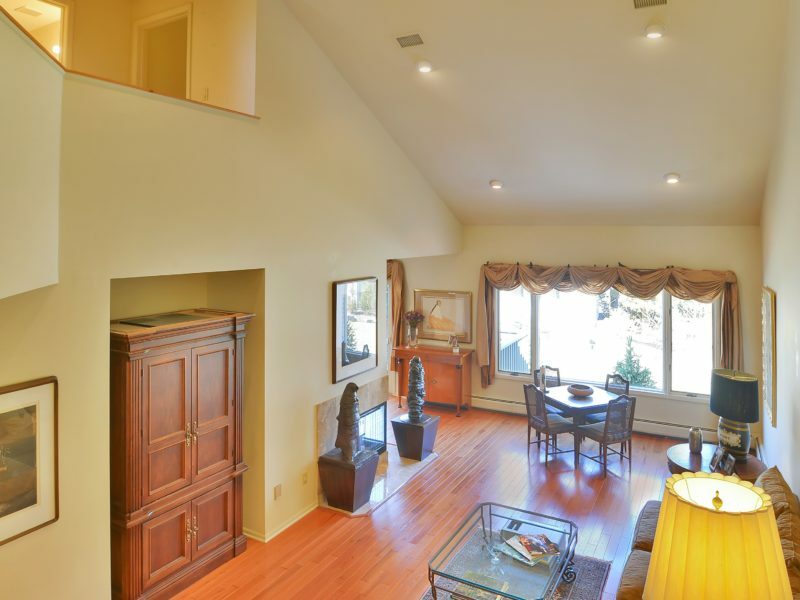 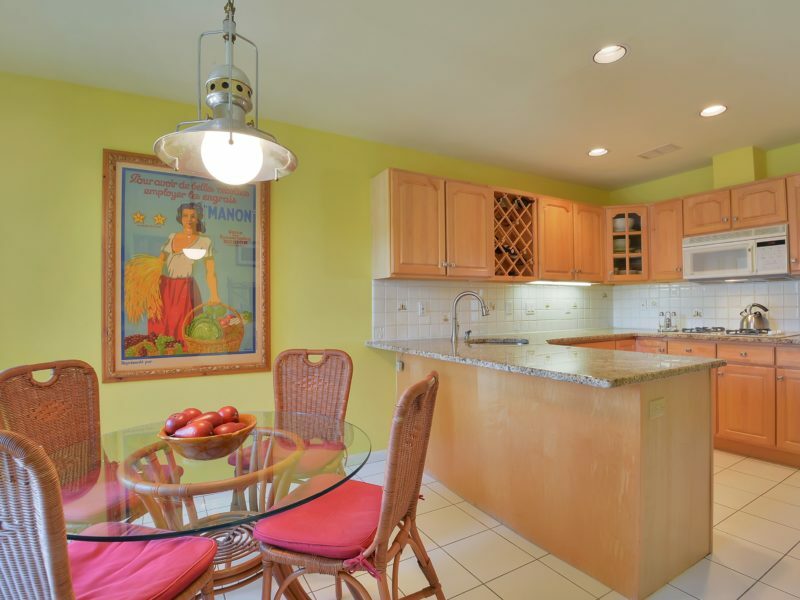 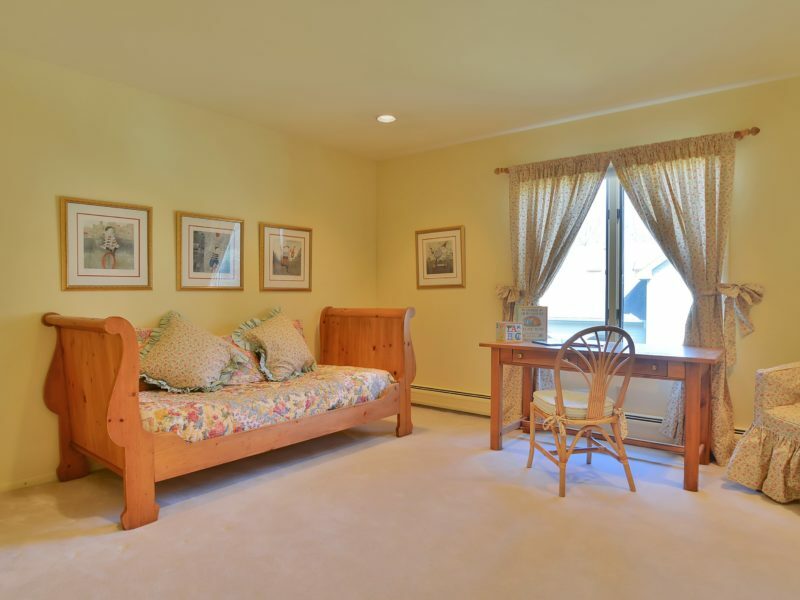 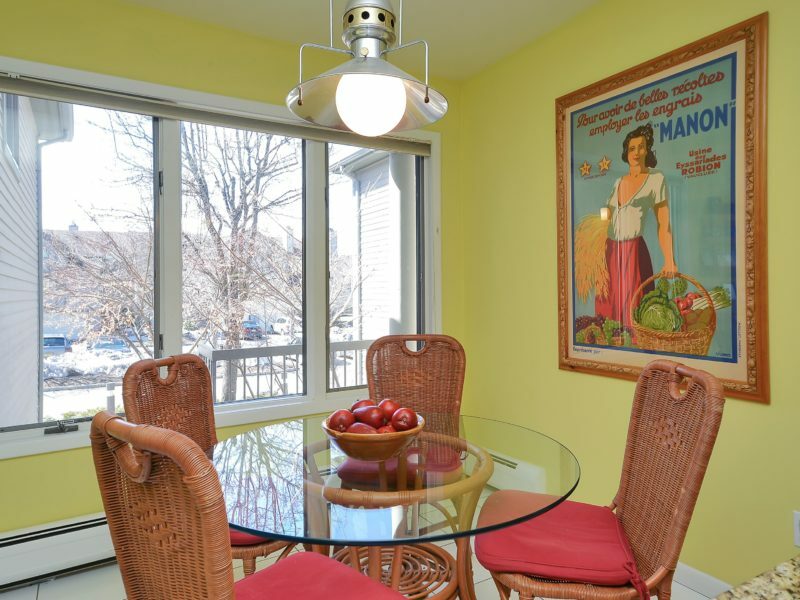 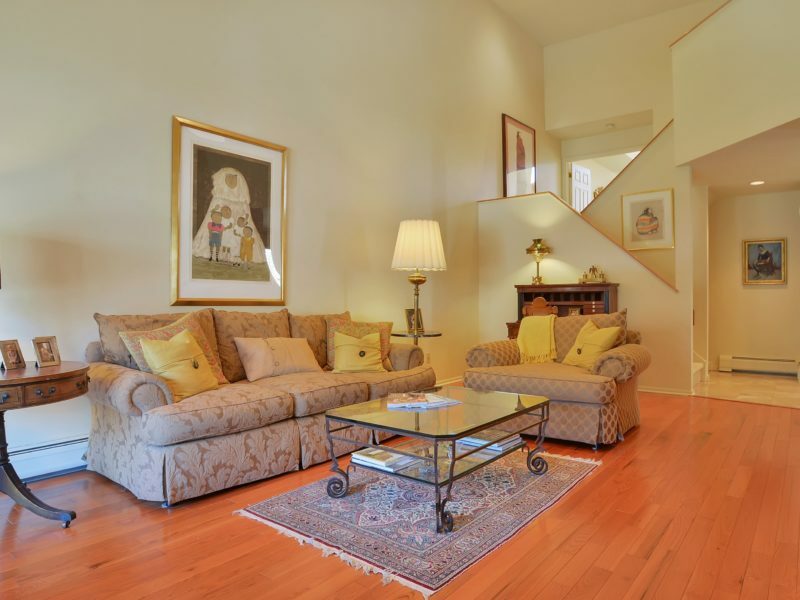 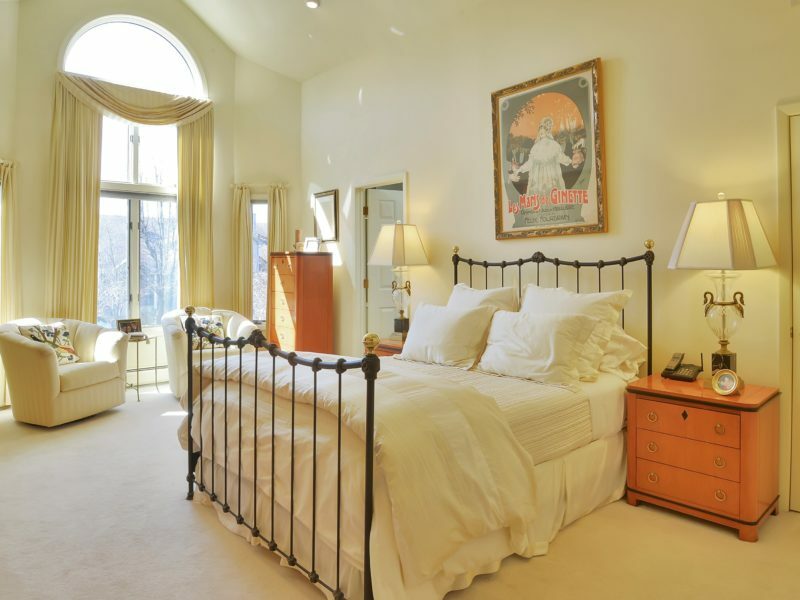 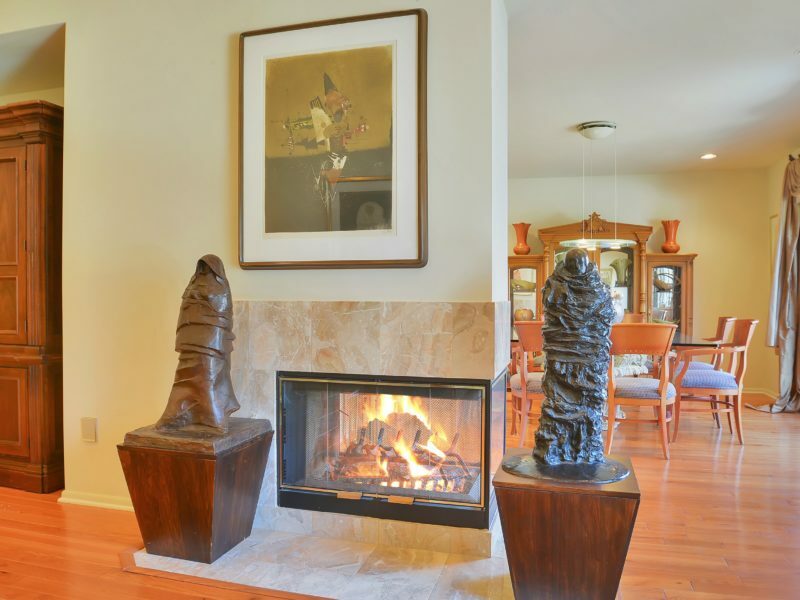 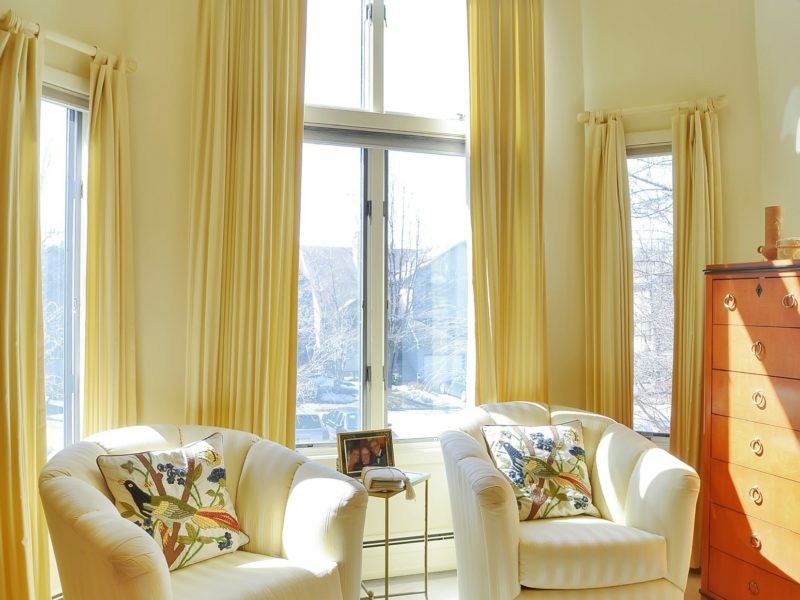 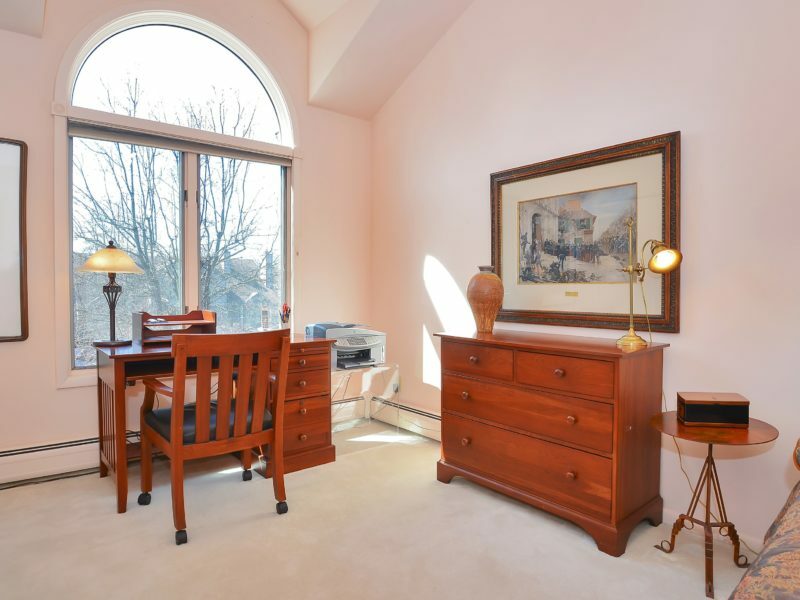 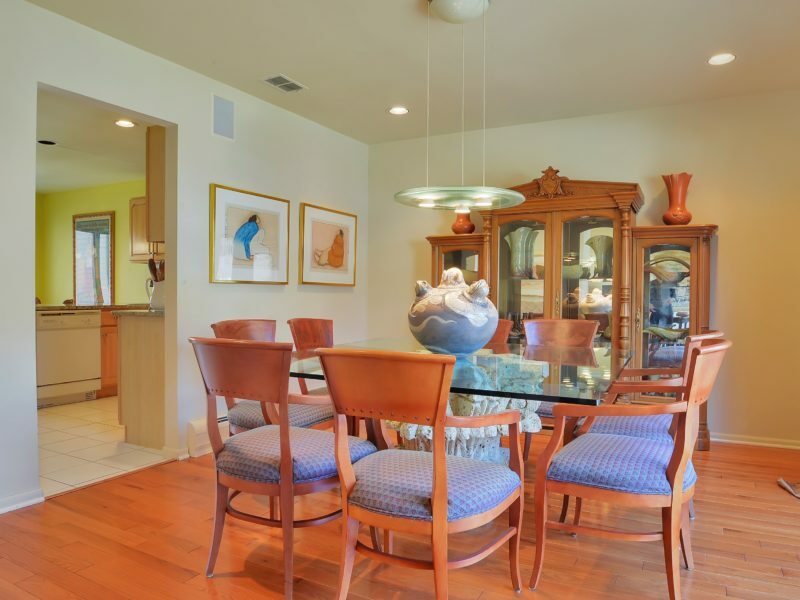 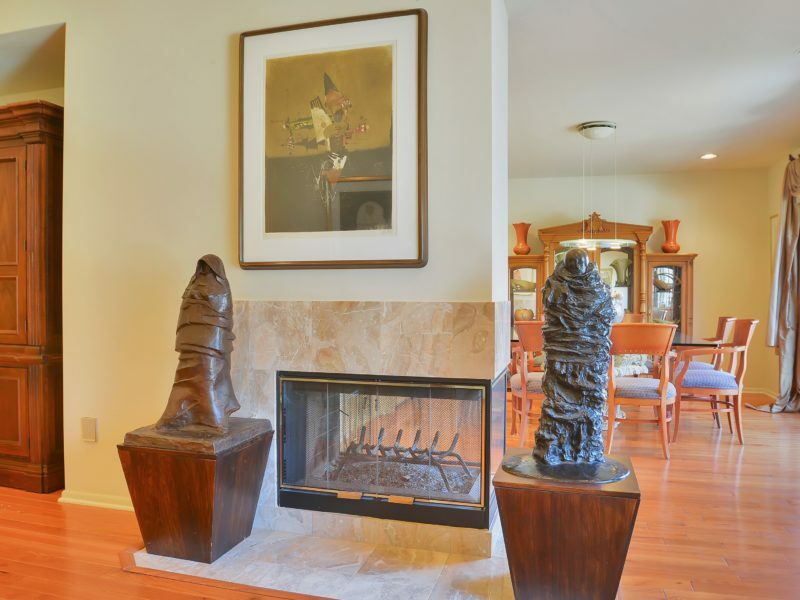 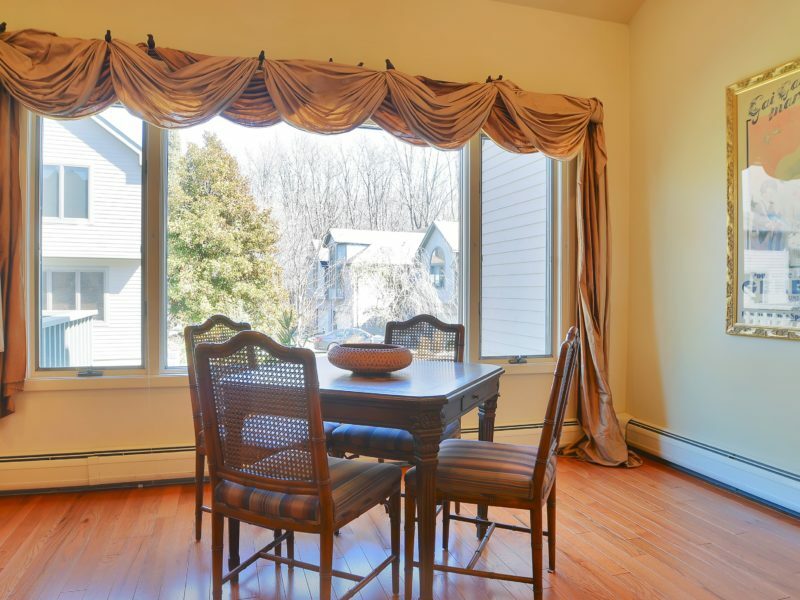 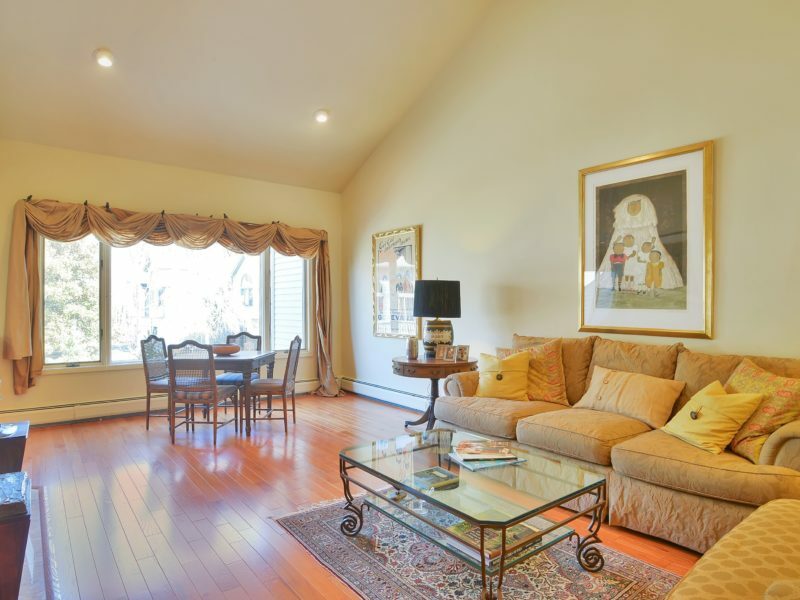 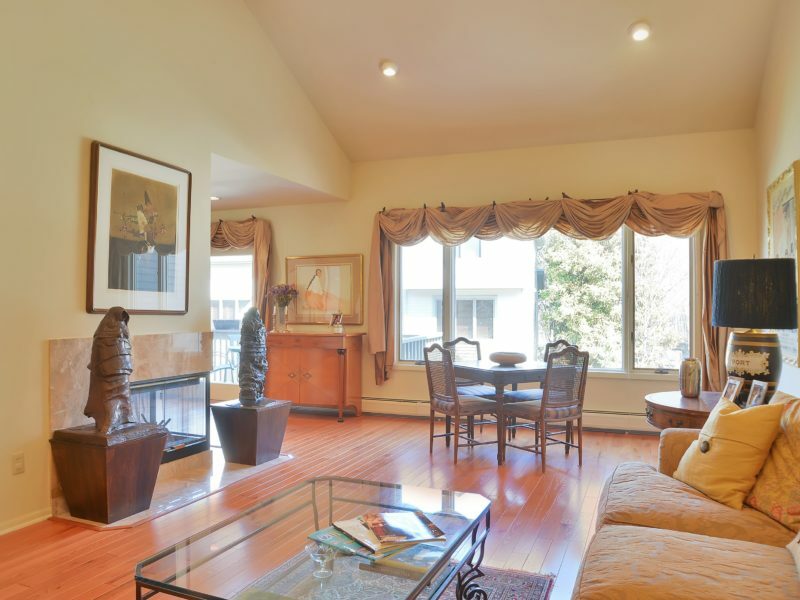 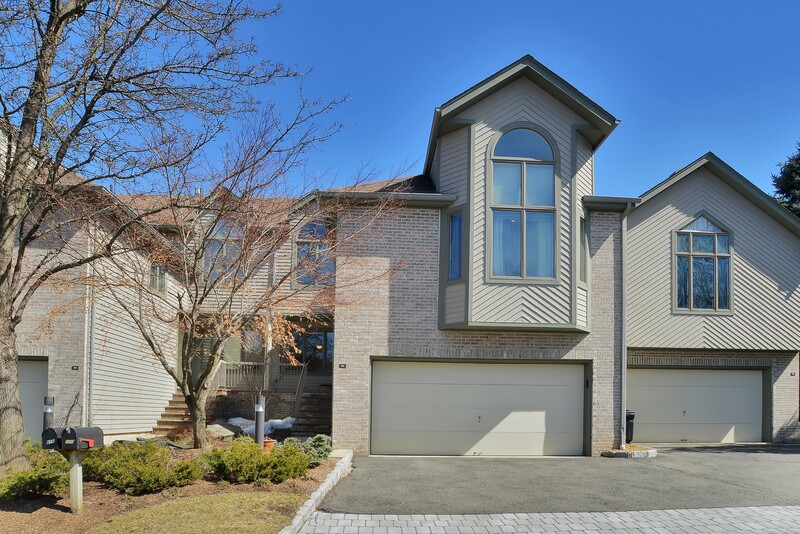 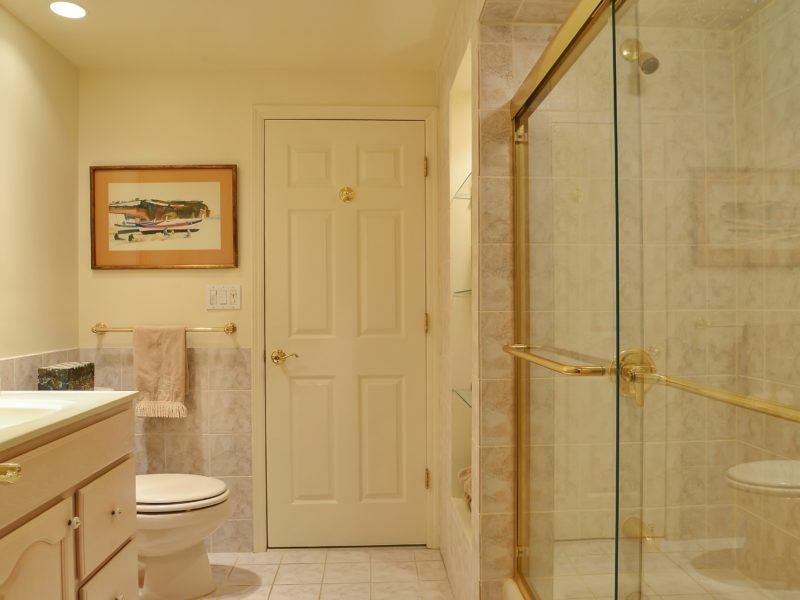 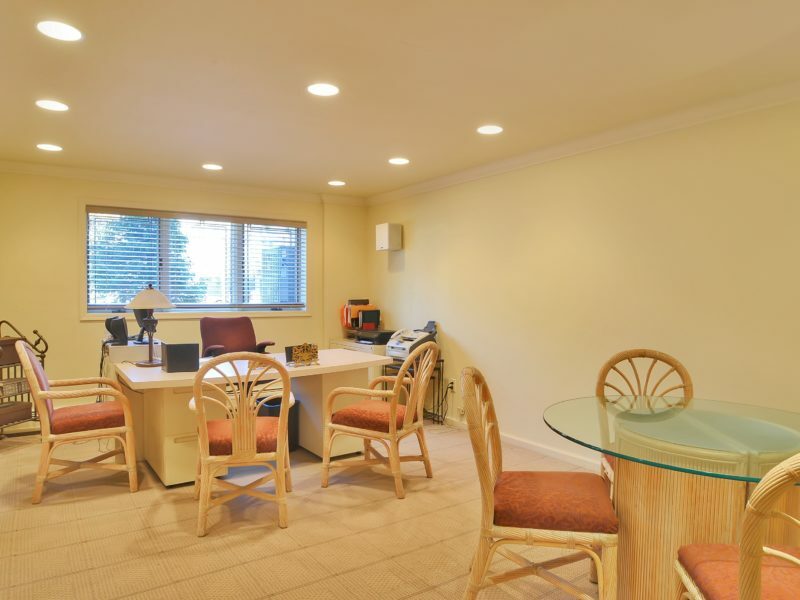 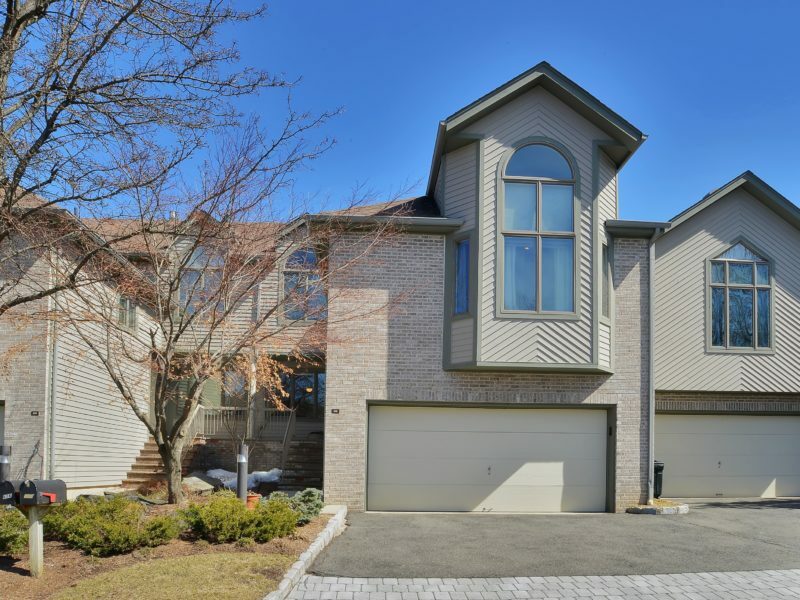 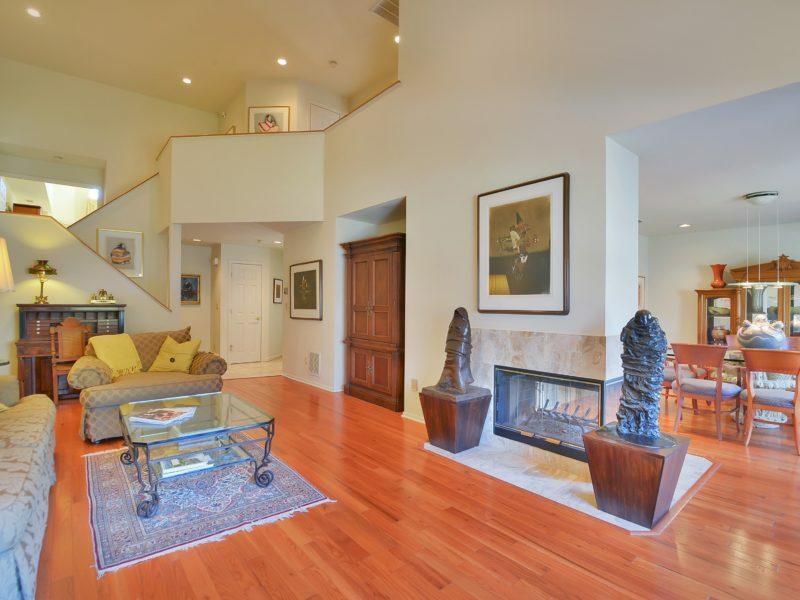 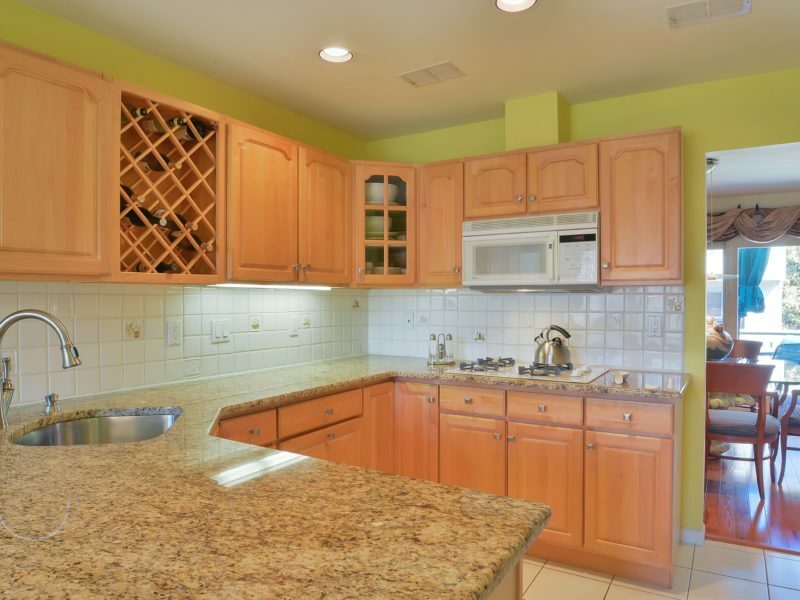 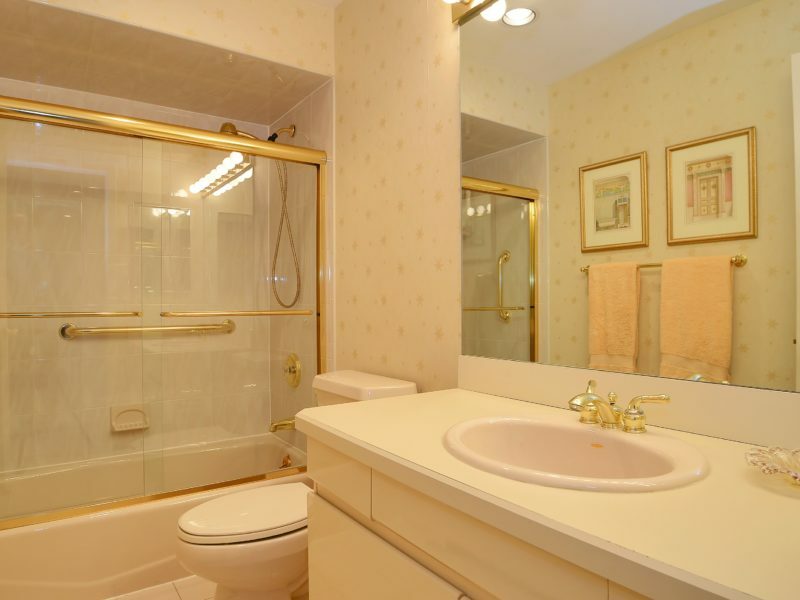 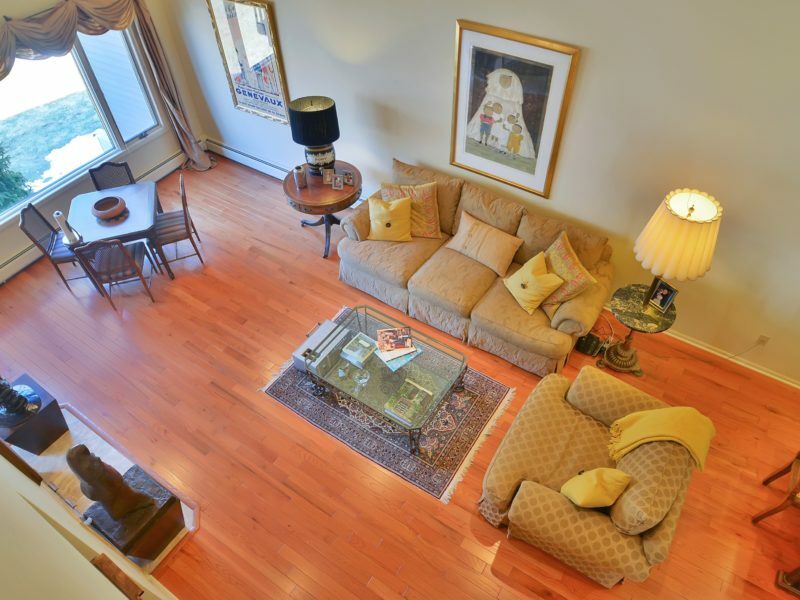 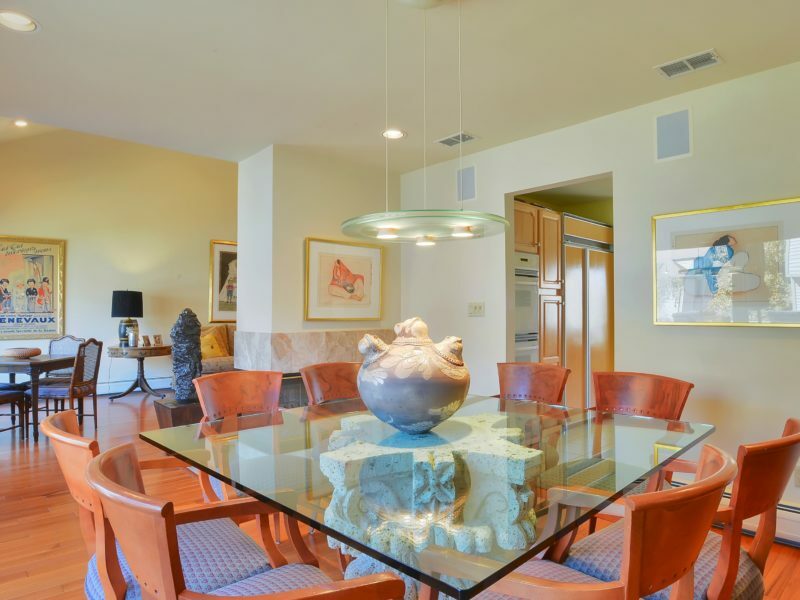 Spacious Northwoods townhome with beautiful high ceilings throughout. 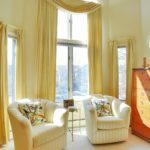 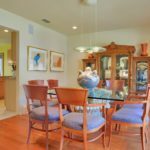 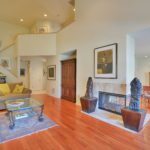 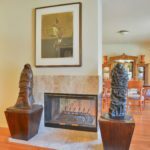 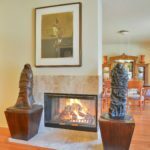 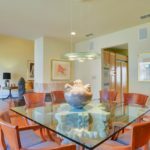 First floor features a marble entry foyer, large eat-in kitchen, powder room, living room with fireplace, and dining room with sliding doors leading to private deck. 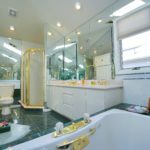 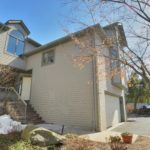 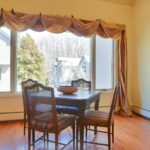 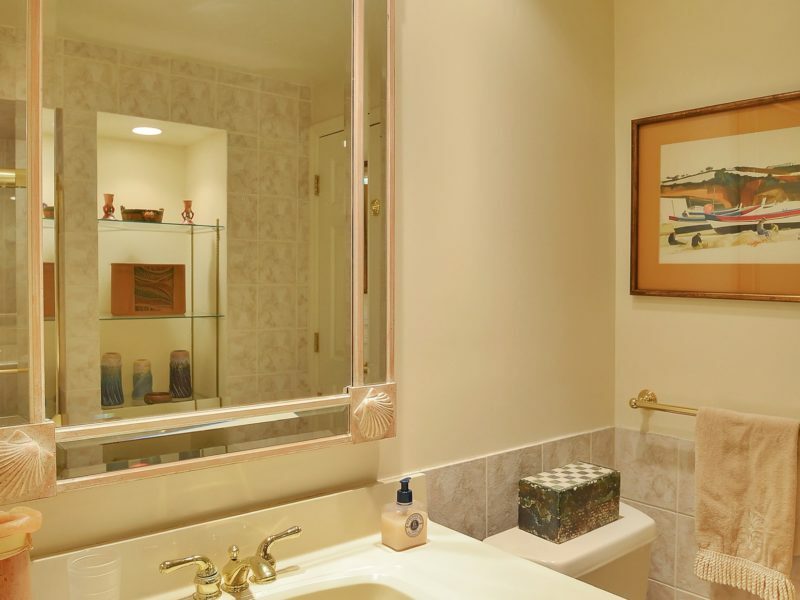 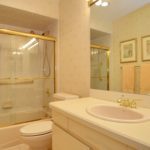 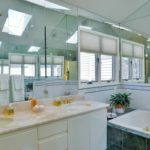 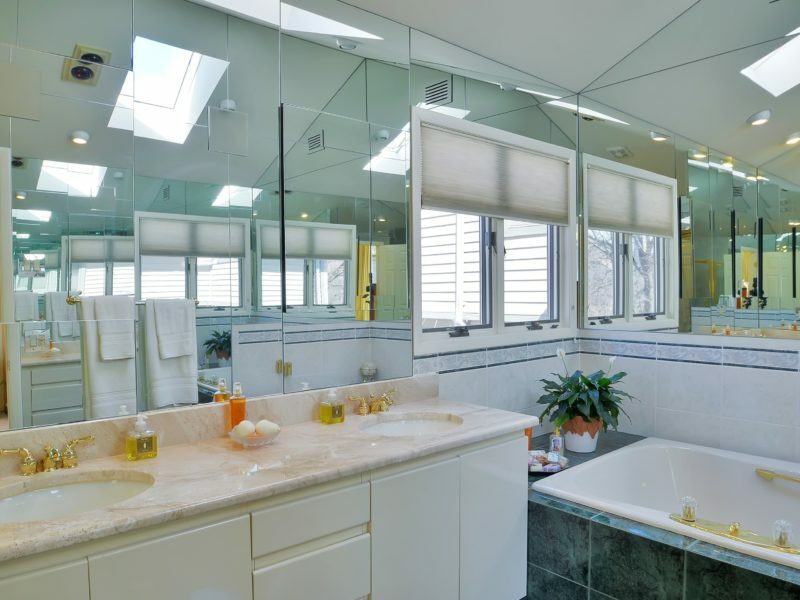 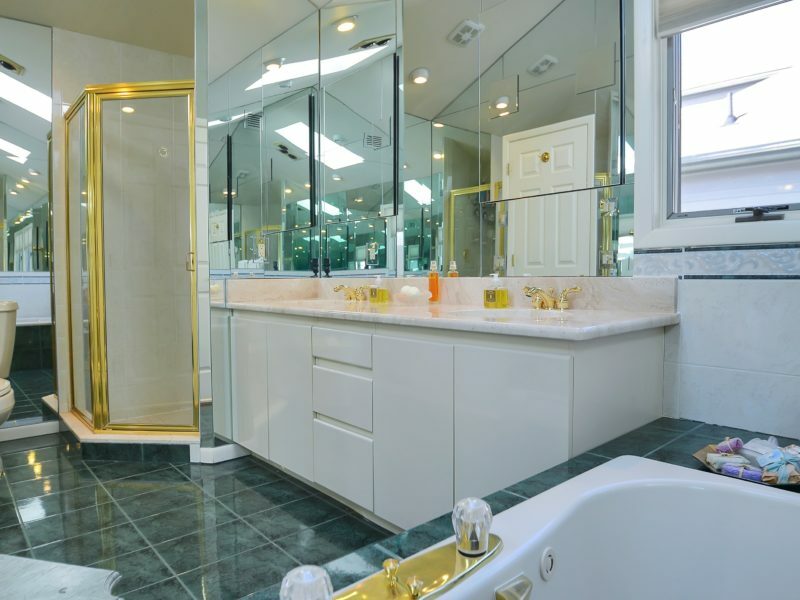 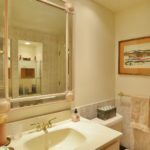 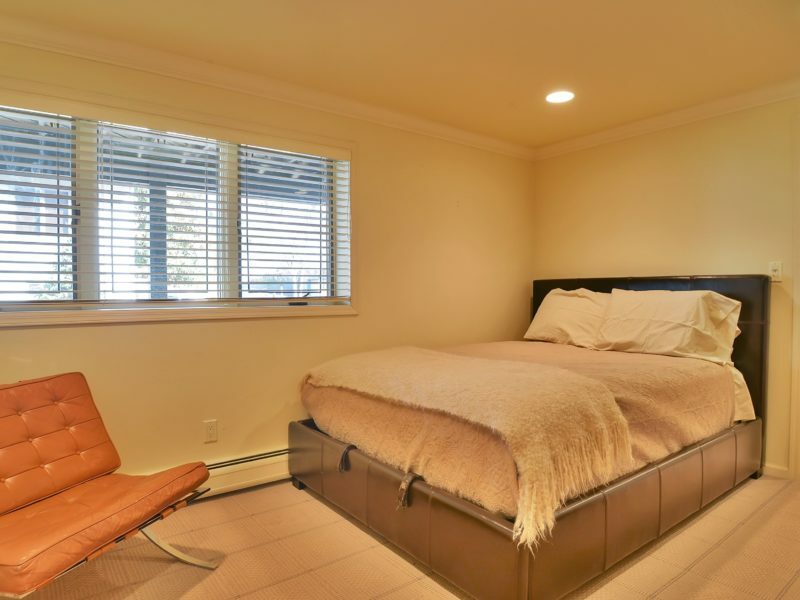 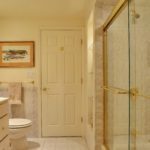 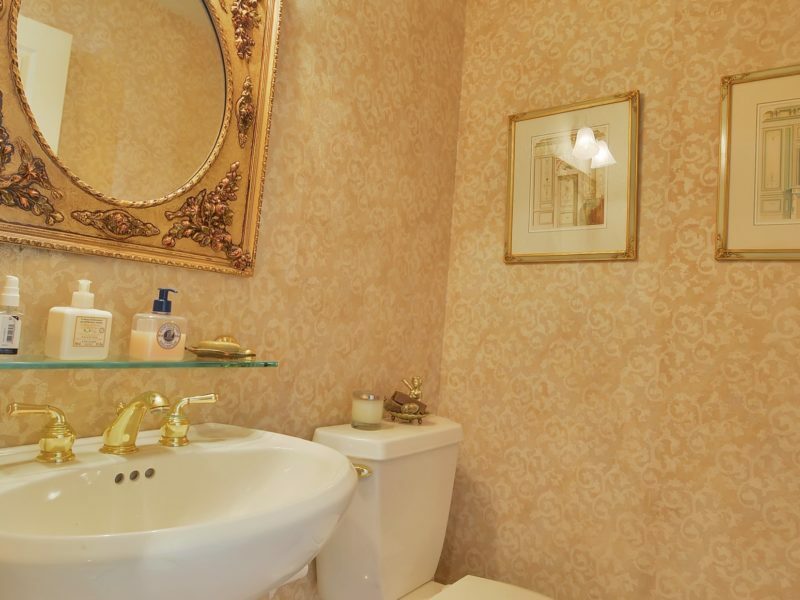 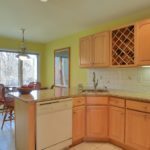 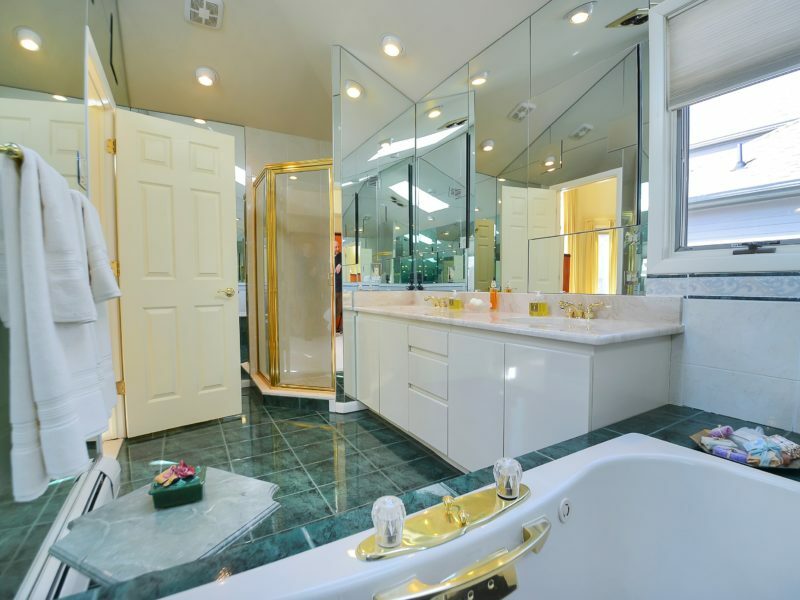 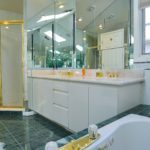 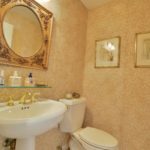 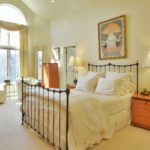 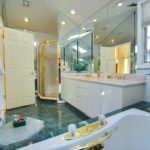 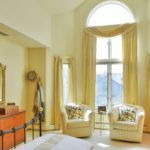 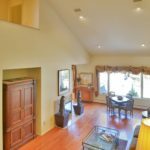 Second floor boasts a large master suite with walk-in closet, master bath with over-sized soaking tub and separate glass stall shower, two more bedrooms and a full bath. 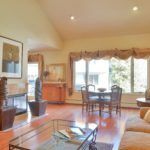 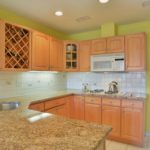 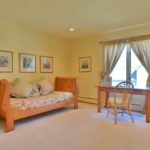 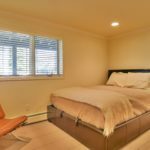 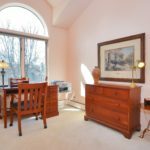 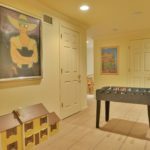 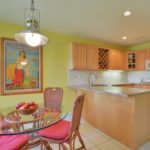 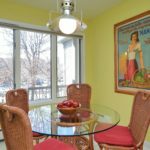 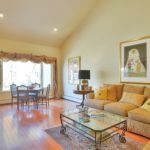 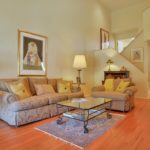 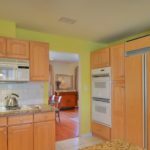 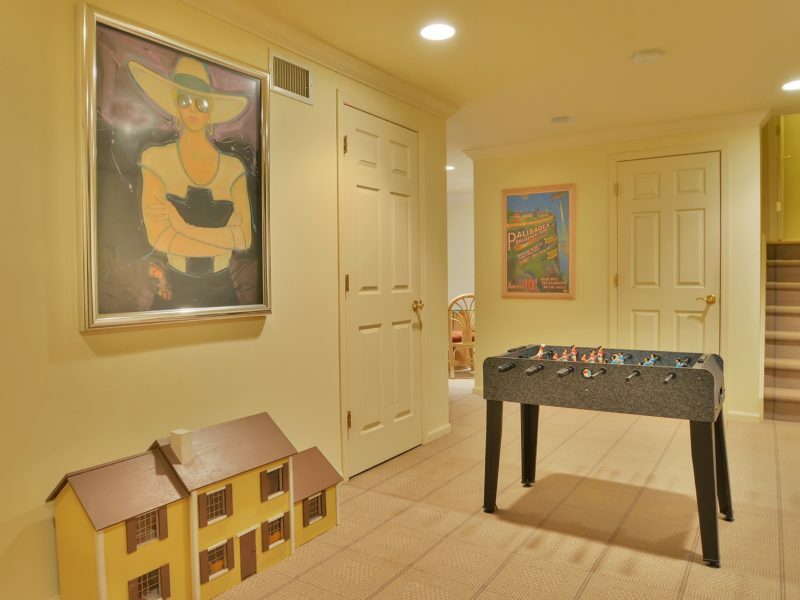 Lower level is finished with a large recreation room, play room, a guest room, laundry, lots of extra closet space and a full bath accessible from both the play room and guest room. 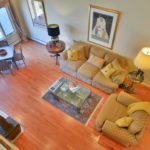 Newer (about a year old) hardwood floors in the living and dining rooms. 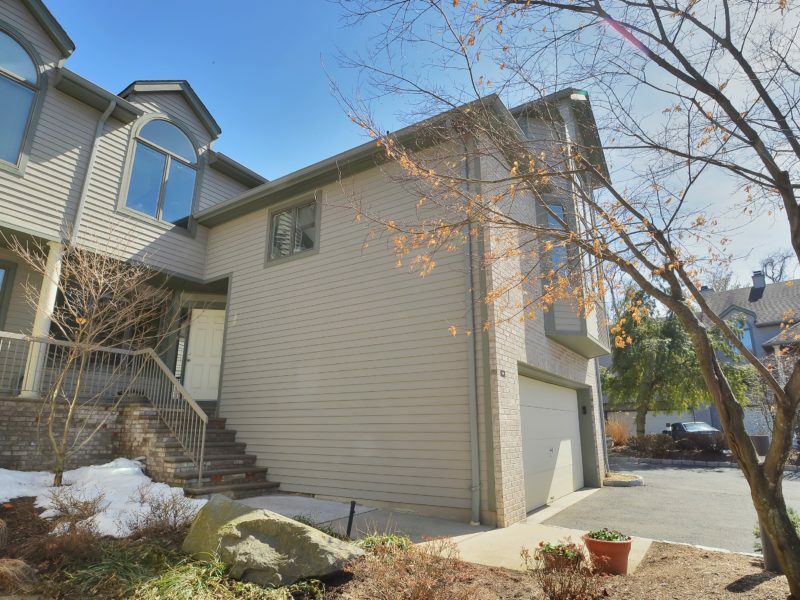 Attached 2-car garage with easy entry into the townhome.